HMD Global has made the Nokia 2.1 smartphone official in India. Coming as a successor to last year’s Nokia 2, the Nokia 2.1 features upgrades in areas such as hardware, display and design. Furthermore, it’s the company’ second Android Go smartphone after the Nokia 1 to launch in India. The price of the handset is set at Rs 6,999, keeping it against the likes of the Xiaomi Redmi 5A and other new devices launched in recent times. Sadly, the Nokia 2.1 still has a 16:9 display on the front in the era of 18:9 display smartphones. The Nokia 2.1 is also known as Nokia 2 (2018). The Nokia 2.1 is priced at Rs 6,999, replacing the Nokia 2 that was also launched at the same price. The 2.1 comes in three colour options- Blue/Copper, Blue/Silver and Grey/Silver. HMD Global, the home of Nokia phones will start selling the device across all the major offline stores from August 12. Interested customers can also purchase the device by heading over to Paytm Mall and Nokia Mobile Shop India. 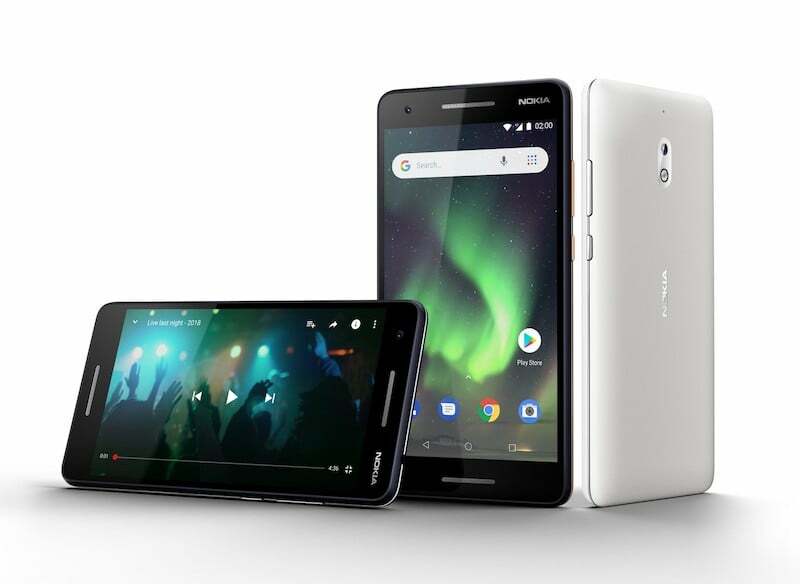 The Nokia 2 (2018) flaunts a larger 5.5-inch HD display on the front with a resolution of 720×1280 pixels and 16:9 aspect ratio. Under the hood, it has the Qualcomm Snapdragon 425 chipset, coupled with just 1GB of RAM and 8GB of internal storage. The company has added a microSD card slot for storage expansion up to 128GB. The phone is on the thicker side at 9.35mm. The phone is armed with a 4000mAh battery, which along with the HD display will deliver over a day’s worth of battery life with ease. The Nokia 2.1 boots lightweight Android 8.1 Oreo (Go Edition) out of the box. As for the connectivity options, the phone offers 4G LTE, VoLTE, Wi-Fi 802.11 b/g/n, Bluetooth, GPS and a Micro USB port. Sensors on board include a proximity sensor, ambient light sensor and an accelerometer. Optics on the Nokia 2.1 include a 5MP shooter on the rear and a 5MP shooter on the front. The Nokia 2.1’s on-paper specs put in against the popular Xiaomi Redmi 5A which boots the standard version of Android. The Android Go-powered Nokia 2.1 has the same Snapdragon 425 processor as the Redmi 5A, but the Rs 6999 variant of 5A has 3GB of RAM and 32GB of internal storage. The Redmi 5A is a much better smartphone than the Nokia 2.1, but it flatters when it comes to battery backup. The Nokia 1 is another Android Go smartphone from the house of HMD Global, which is priced at Rs 5,499. The Nokia 2.1 is a much better smartphone than the Nokia 1 because it has a bigger battery, larger screen and a faster processor. However, both the devices offer 1GB of RAM and 8GB of internal storage. To Nokia: Please consider manufacturing 4 – 4.3 – 4.5 inch screen devices. Just 1 GB RAM in 2018?? This how Nokia went down in 2010 from Number 1 to zero. They keep repeating the same mistakes again.